A wireless telephone? What is this wonder? Err, yes, we’ve all got mobile phones so the excitement of being able to walk around while talking on a phone has worn off rather. 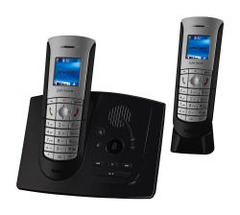 But for those who want to have a landline – and there are advantages to this retro concept – wireless phones make the whole thing seem a bit more natural and intuitive. Essentially adding the benefits of a landline – cheaper and more reliable calls with one of the key advantages of a mobile phone – mobility. You don’t have to stand in the kitchen with all of your family there and take an awkward call. Pick it up… and walk away. Downsides obviously involve poor battery life… and forgetting where you put the handset. Buying from a brand like John Lewis will obviously help with one of those problems. 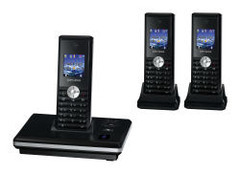 John Lewis have just released a new range of wireless landline phones. The value offering has a 50 name and number memory. It has an LCD display with caller ID, 10 hours talk time, 100 hours standby, five last number redial, speakerphone and an alarm function. Two additional handsets can also be connected to the phone. The middle range offering has a 200 name and number memory as well as an answer machine, which stores up to 24 minutes of messages. Key features include a full colour screen, SMS text function, alarm, organiser and two games. The phone also has eight hours talk time, 100 hours standby and speakerphone. Three additional handsets can also be connected to the phone and if you have more than one handset you can use the baby monitor feature. 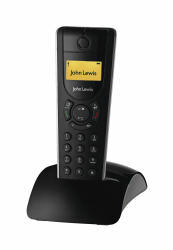 The premium John Lewis Digital Cordless Telephone with Answer Machine has a talk time of 15 hours, 150 hours standby and speakerphone. It benefits from a 200 name and number memory as well as an answer machine, which stores up to 24 minutes of messages. Key features include a full colour screen, SMS text function, alarm, organiser, timer and two games. Two additional handsets can also be connected to the phone and if you have more than one handset you can use the handy baby monitor feature. it is so good~! thanks~! your blogs are good ! thank you ! Im a fan of JL. Its cool to know John Lewis has come up with these new lines. And im impressed on every product they introduce to the market. Its all cool and unique. Shades of the “2001” monolith on that first one there. It’s a nice piece of kit!